When life gives you lemons, you do a limoncello! 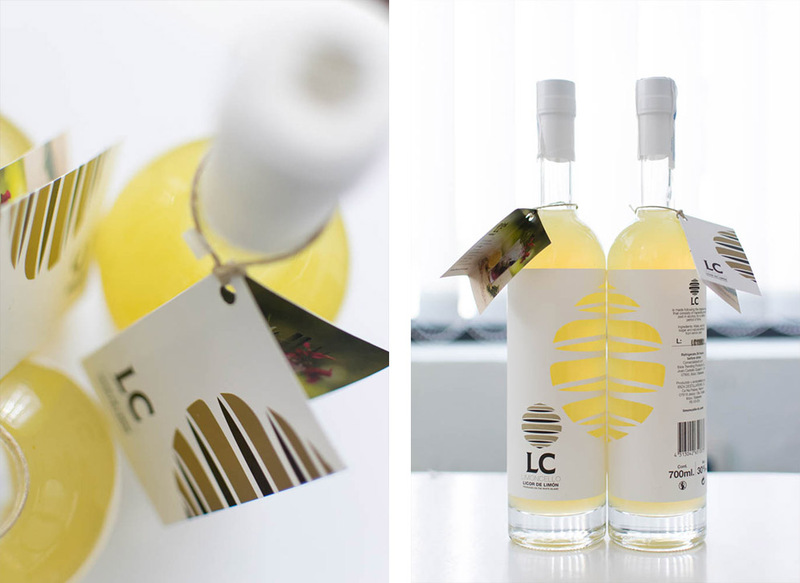 The new limoncello made with Ibiza’s lemons is here: LC limoncello is light, fresh, modern and elegant. We referred to these key aspects of the product to bring the brand’s characteristics to life visually. While most brand use different colors or complex graphics, we opted for a simple and straight forward design language that use the bright color of the limoncello and a simple and modern logo mark. 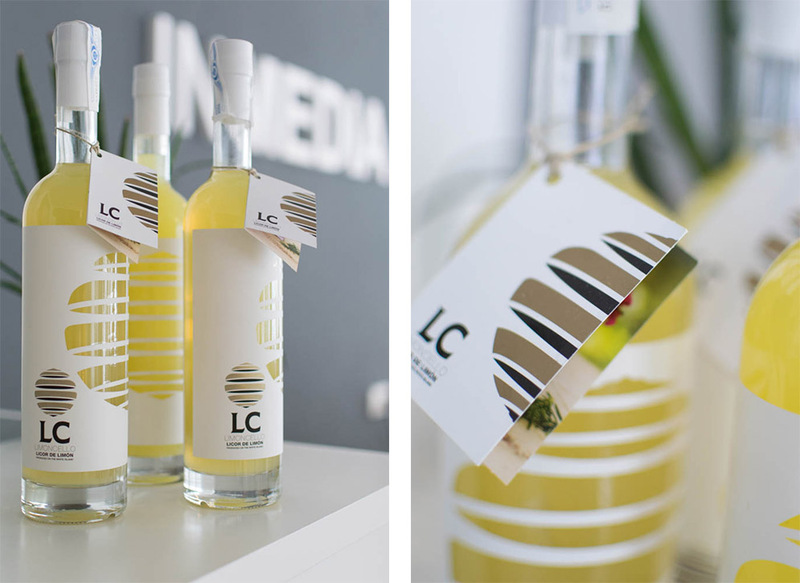 The logo is the synthesis of the main element that makes up the limoncello, the lemons! The golden color was used to give a sophisticated edge and black to give contrast. Clean typography was used to keep a clear and elegant brand. One main challenge for this new product is to make an impression on the market and stand out from the competition, the bottle has to be visually strong, and be visible on a shelf of any classy beach club or restaurant in Ibiza. For this reason the label design was made to be attractive, elegant and modern in structure. We opted for not covering completely the beautiful bright yellow of the limoncello and shape the silhouette of a lemon leaving as a background the original color of the drink. Simplicity and brightness were key aspects of the design. 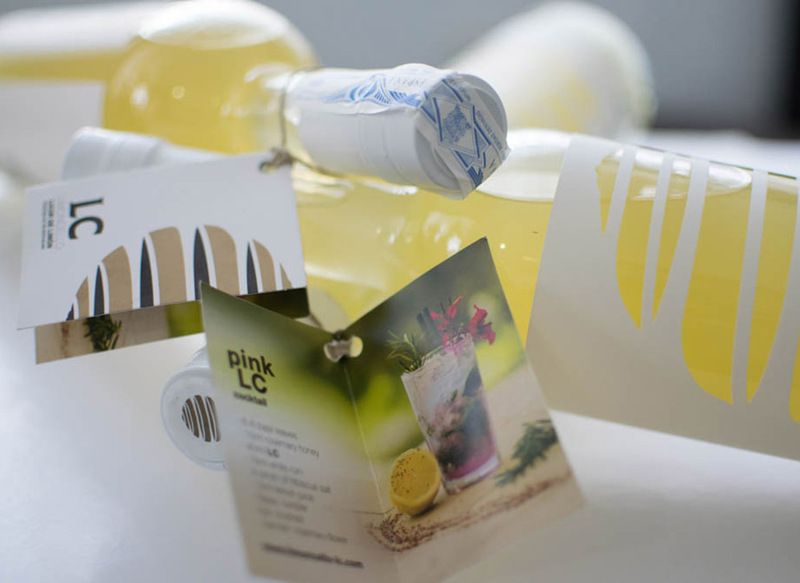 The booklet was created to give more information about the product and provide a delicious recipe for a cocktail made with limoncello to freshen up the warm days in Ibiza.